"Pollstar was an inspiring experience for me. It's not every day you get to be in the same room with music legends. It was a chance for me to ask experienced music professionals their advice on how to succeed in this industry. On top of it all, I gained some real-world work experience in this field." 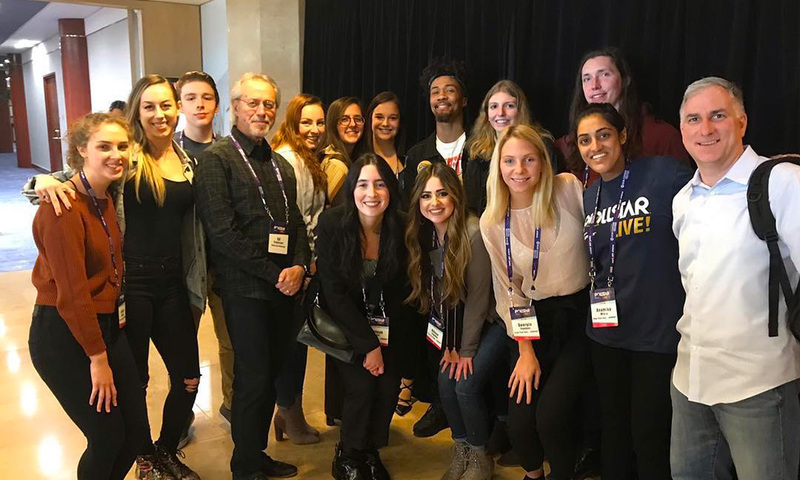 Point Park University sports, arts and entertainment management majors had an unforgettable experience at the 2019 Pollstar Live! Music Conference in Beverly Hills, Calif., networking with artists, promoters, agents, venue managers, recording company execs, touring personnel and more. “This is the largest conference of its type in the United States. Our students not only get to attend the conference, but work the event in a number of capacities, allowing them to network with people who are doing exactly what they want to do upon graduation,” explained SAEM Associate Professor Ed Traversari, MBA, who accompanied students to the Pollstar for the eighth year in a row. Among the major highlights of the Feb. 11-13 trip included meeting with Lady Gaga’s bass player Jonny Goood (who had just performed at The Grammy Awards), hearing from Dave Grohl from The Foo Fighters, George Clinton of Parliament Funkadelic and singer Khalid and attending the Pollstar Music Awards. “When I first heard about Pollstar, I knew that I had to attend. Our professors spend a lot of time teaching us the ins and outs of the entertainment industry. This was my opportunity to take what they’ve taught me and put it into action,” described Hannah Uziel, a senior SAEM major from Gateway High School in Monroeville, Pa.
“My favorite part was definitely getting to sit in on ‘The Conversation’ with Dave Grohl of the Foo Fighters and Michael Rapino, CEO of Live Nation. It was very special to me because I can trace most of my musical influence back to Grohl, and he's one of the reasons I'm here pursuing a career in this industry,” said Tyler Richey, a senior SAEM major from Connellsville Area High School in Connellsville, Pa.
SAEM junior Nate Grossi’s favorite part was also listening to Grohl speak about his passion for live music. “His stories were so genuine and interesting to hear. It gave a perspective of the industry you don’t get to see or hear about often,” said Gross, who graduated from Tuscarawas Valley High School in Bolivar, Ohio. 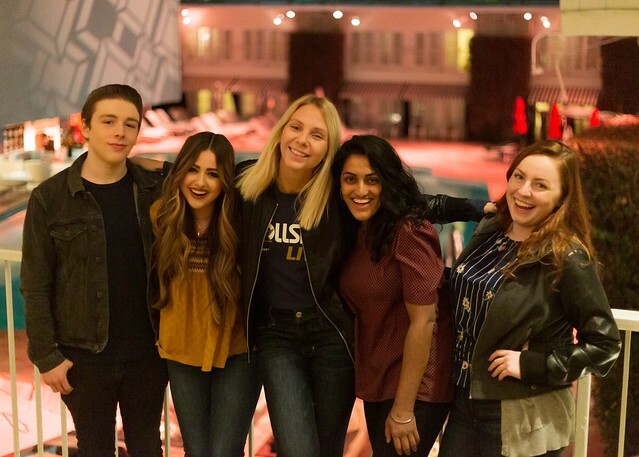 Additionally, students engaged in private roundtable sessions, including one with Kevin Lyman, creator of The Warped Tour, and met with Brittany Hoydich from Universal Records and Kelly Weiss from Live Nation Global Touring. The students also attended an Alumni Relations dinner with over 25 Point Park graduates working in the Los Angeles area. “We met with lots of industry professionals, and they were all so open to answering questions and helping everyone. Hearing them speak about their place in the industry and how they got there and the steps to take really helped me think about my own path,” explained Amber Montz, a senior SAEM major from Terry Sanford High School in Fayetteville, N.C. According to Traversari, Pollstar remains the most prestigious music conference in the entertainment industry. “It is awesome to give students the opportunity to be part of such a great event," he said.